Pumpkin is considered one of the top foods for both humans and dogs for good reason. It’s packed with vitamin A, potassium, and iron. It works as a remedy for both loose stools and constipation. Pumpkin is usually hard to find outside the fall months so I stock up cans of this power food while it's available. You know that big, scrumptious dinner served every year on Thanksgiving Day? The one everyone looks forward to with salivating anticipation? The one your dog is hoping you'll share? 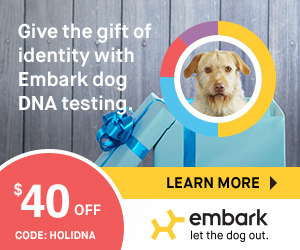 Here's an easy cool way to give your dog a healthy serving of deliciousness! This was a great success! 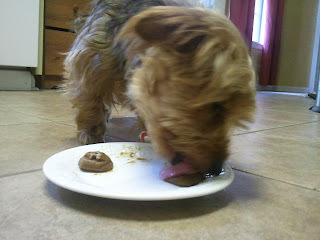 Kirby and our foster, Odie, licked their bowls clean! The majority of Kirby's meals include brown rice as a grain so barley is a nice change for him. Easy, healthy, tasty - what more can a pet parent ask for? The other day I came home from work to a smelly mess. Apparently Kirby had an upset stomach with a nasty bout of diarrhea which I am attributing to the vienna sausages Doug shared with him the day before. His eyes looked good so I knew he didn't need a visit to his vet. After I cleaned him up and the mess in his playroom I turned to Google. Three ingredients kept popping up as I searched for a home remedy. Pumpkin, cayenne pepper, and probiotics (yogurt). That night when preparing his evening meal I chose white fish, pumpkin with a dash of cayenne pepper and plain yogurt. Kirby ate the fish, then the yogurt, then the pumpkin. I gave Shelby the same meal just in case she had what he had. 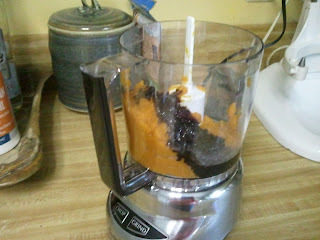 They devoured their meals so since I had left over pumpkin I decided to create a treat using all of these ingredients. I thought about using the fish in place of a flour but chose brown rice flour since rice is considered mild enough for delicate tummies. I may still try a treat with the fish in place of the flour. 1. In a medium bowl thoroughly mix all ingredients. 2. Roll out 1/4 inch thick and cut out shapes with cookie cutters. 3. Bake at 350 degrees for 23 minutes or until lightly browned on the bottom. 4. I wanted a chewy texture so I removed them from the oven to cool on a baking rack. For crisper cookies, turn off the oven and leave in for a few hours. These "treats" with benefits were a hit. It's considered a good idea to let the dog fast for a day or two as long as you provide plenty of fresh water. With no sugars added a few can be substituted in place of meals while his poor tummy gets back in sync. I am pleased to say Kirby was ok the next day. (NO MORE VIENNA SAUSAGES FOR THIS FURKID) Home remedies really do work but if you have any doubts, always check with your veterinarian first. For more information about these amazing ingredients check out my list of Healthy Ingredients. If diarrhea persists, or the dog becomes lethargic, or begins vomiting, a visit to the vet is imperative. I am a pet parent so always seek the advice of your veterinarian. One phone call only takes a few minutes. September 23rd marked the first day of fall. The days will start getting shorter as the weather starts getting cooler. The summer fruits are disappearing so what's a dog to snack on now? One of the best fall fruits is pumpkin. It's also one of the most popular crops in the United States with 1.5 billion pounds of pumpkin produced each year. The stores again boast shelves bulging with cans of pure pumpkin. This is when I stock up. Pumpkin is packed with large quantities of vitamin A for resistance to infections, improve night vision and keep the body's membranes healthy, potassium for good blood pressure, iron for healthy blood, and roughage to help digestion. Use fresh pumpkin or canned pumpkin, never pumpkin pie mix which has sugar and other harmful ingredients. With Halloween just around the corner you could buy a fresh pumpkin, scoop out the pulp to cook and the seeds to roast, and carve the remaining shell. Me, I'm lazy. I'm perfectly happy grabbing a can and a can opener. Kirby doesn't mind either way as long as he gets his pumpkin fix. Kirby has a sweet tooth so I like to use Blackstrap Molasses, a natural sweetener which is rich in B vitamins and minerals such as calcium, magnesium, potassium and iron. 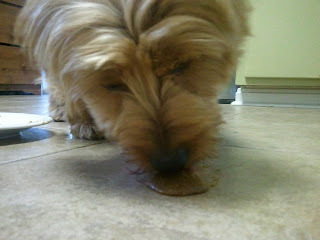 These dog treats are healthy with pumpkin with just enough sweetness from the black strap molasses. Blend together and spoon into ice trays, paper cups or silicone molds. Place in freezer. (I bought this mold for under $2.00 at Dollar General). Once frozen, pop out and serve. They can be stored in the freezer in a zip-lock bag for a few weeks. Chelsea decided she wanted some so Kirby patiently waited until she had eaten enough. I realized these should be served in a bowl or outside as I watched Kirby lick one right off the plate and across the floor. 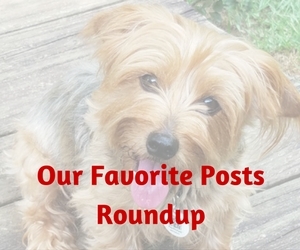 Fall's produce is bountiful and full of wonderful healthy flavors your dog will love! Now is the time to stock up on canned pure pumpkin which is an amazing ingredient for dogs. Constipated? A little pumpkin can help. Runny stools? A little pumpkin can help. Upset tummy or trying to transition to a new food? Again, a little pumpkin can help! This recipe is not only tasty but chock full of incredibly healthy ingredients for sensitive tummies. Pumpkin is packed with large quantities of vitamin A for resistance to infections, improve night vision and keep the body's membranes healthy, potassium for good blood pressure, iron for healthy blood, and roughage to help digestion. We only use fresh pumpkin or canned pumpkin, never pumpkin pie mix which has sugar and other harmful ingredients. You’ll want to stock up on canned pure pumpkin to make this dog treat that’s is not only tasty but chock full of incredibly healthy ingredients! Thoroughly mix together all ingredients in medium size bowl. Shape into balls and place on lined baking sheet. This dough is very sticky so I let the mixture chill in the refrigerator for 30 minutes for easier handling. 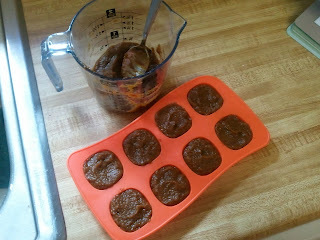 Then I scoop out balls with my silicone melon scooper and let them chill for about 10 minutes. Then I cut those balls in half with a sharp knife and roll into small balls. If you don't want to spend the time forming the balls, use a spatula to smooth out the mixture on the lined baking sheet. When halfway baked, score with a pizza cutter. Watch your cooking time as the thinner they are the faster they will bake. Grab a small handful and place on a lined cookie sheet. Flatten slightly and make sure there are no loose pieces. Bake at 350 degrees for 20 minutes. Remove from the oven and let cool. Note: To make them really crispy turn off the oven and leave the treats in for another 20 minutes. These treats have a crispy outside with a soft, moist center which means they will mold like any baked good. Keep refrigerated up to a week or freeze up to three months.